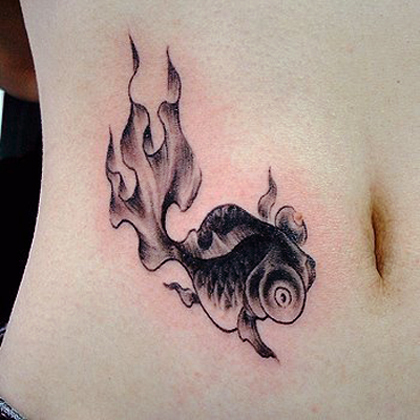 There are fish monuments and memorials dating back thousands and thousands of years, which makes it a very ancient and historical symbol. 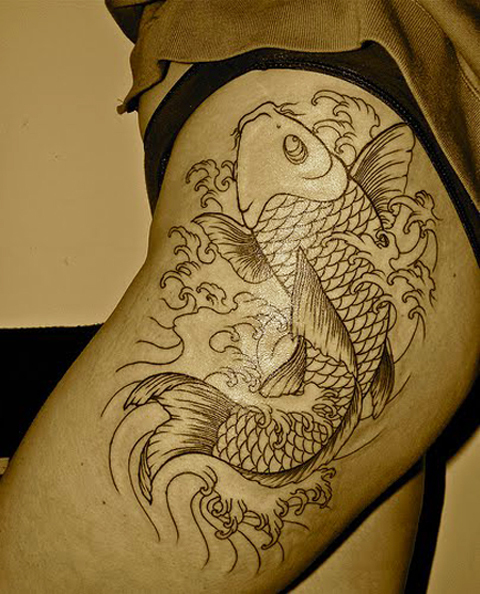 Fish acts as a symbol of fertility, wealth, harmony, wisdom and sexual power. 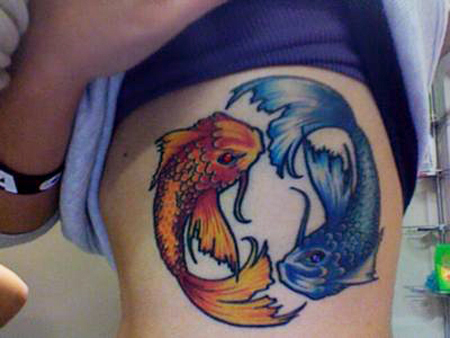 The latter is connected with the plenty of roe they spawn and with water being a symbol of fertility. 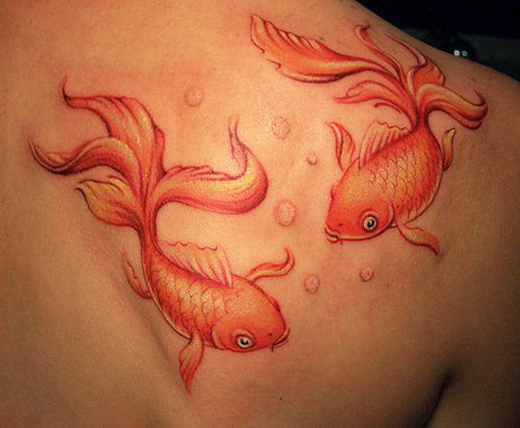 At the same time fish can mean stinginess, bareness and indifference. 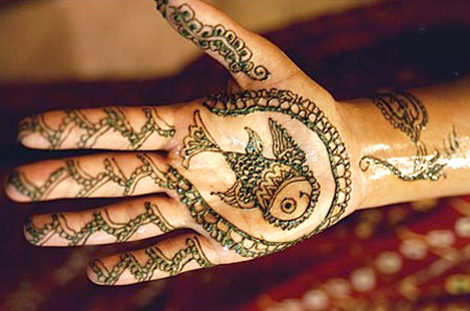 But in general it has more positive connotations that negative, perhaps due to its ties with religion. 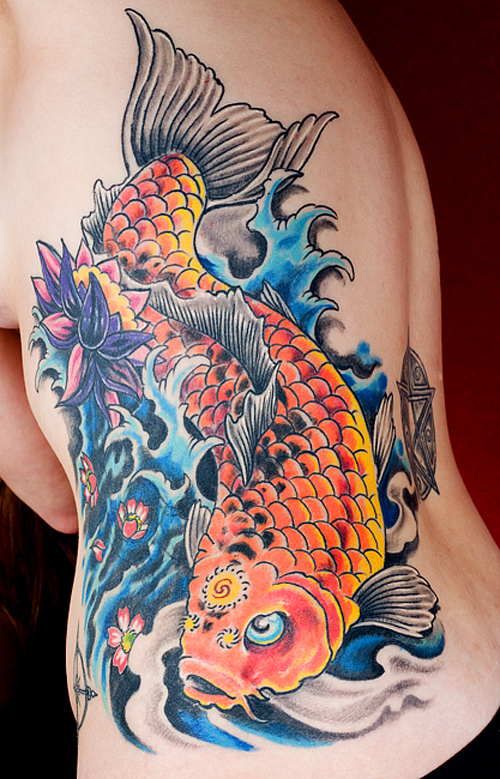 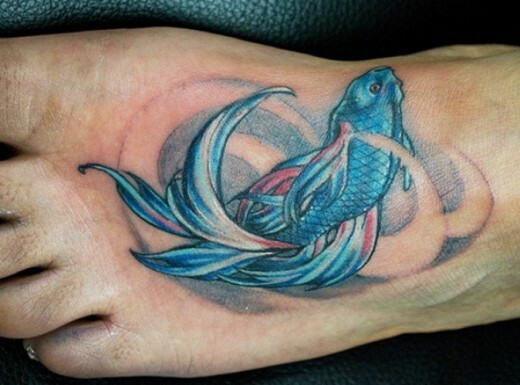 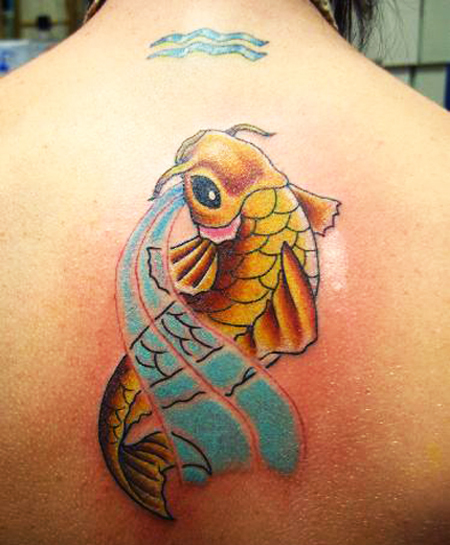 These Fish tattoo designs have beautiful colors and fan-like fins, adding to their tattoo attractiveness. 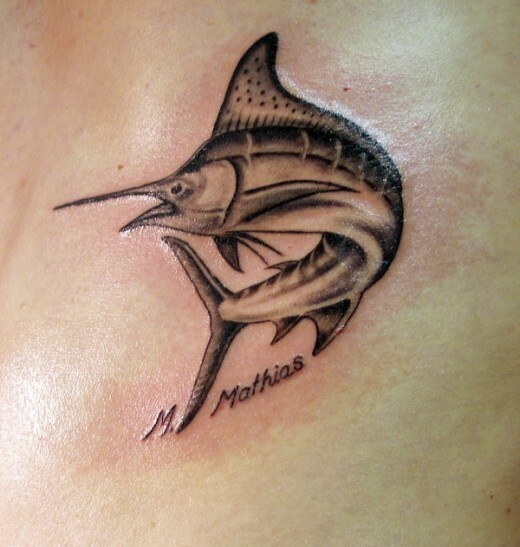 A sensible Fish tattoo designs by a skilled artist would be stunning. 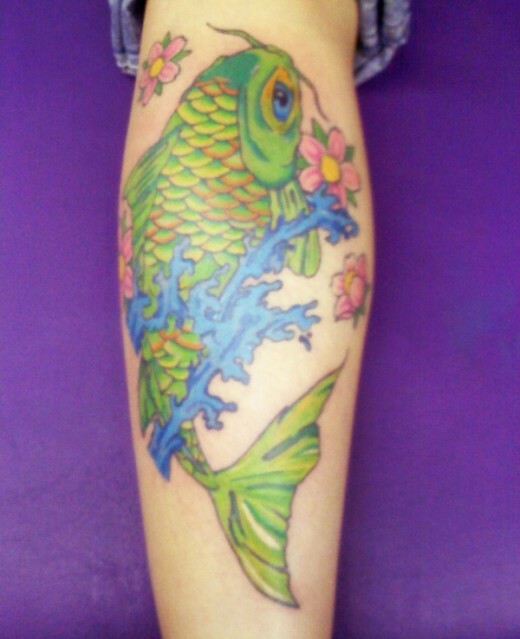 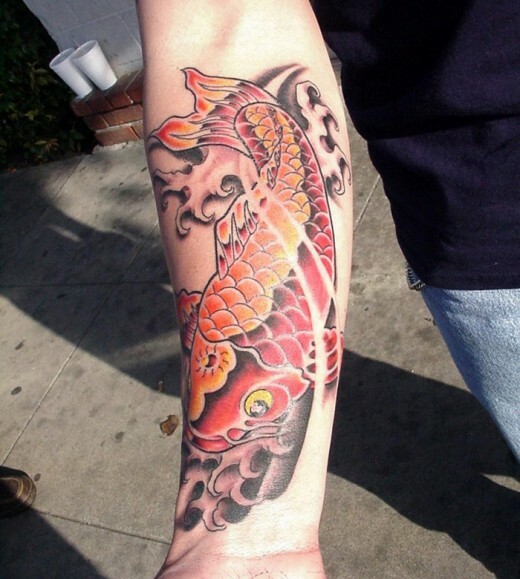 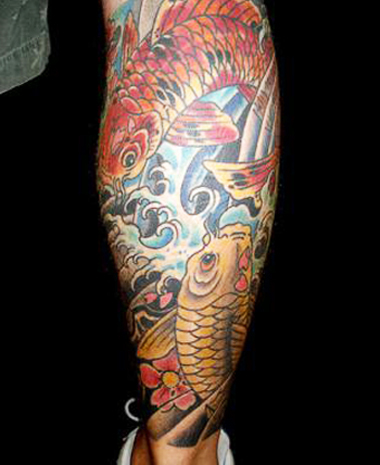 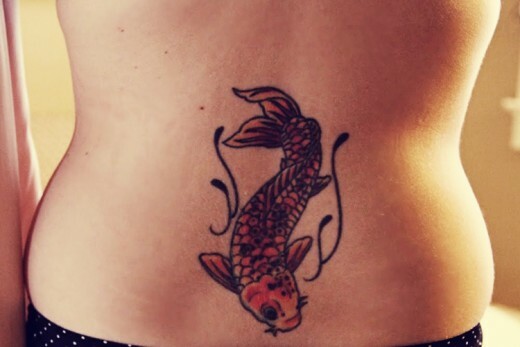 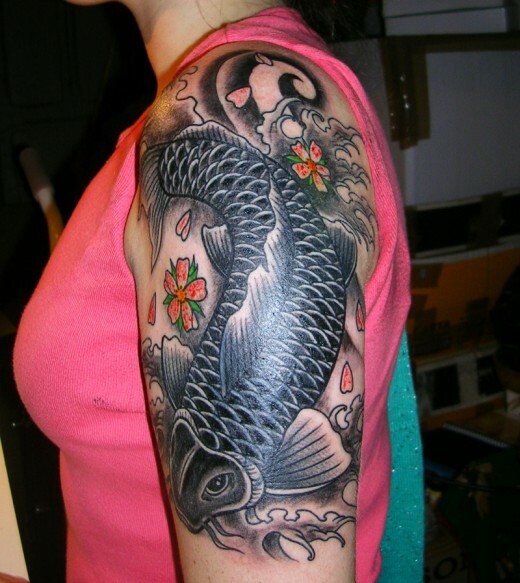 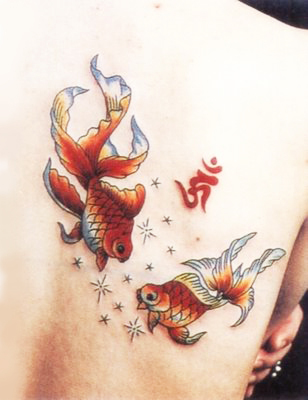 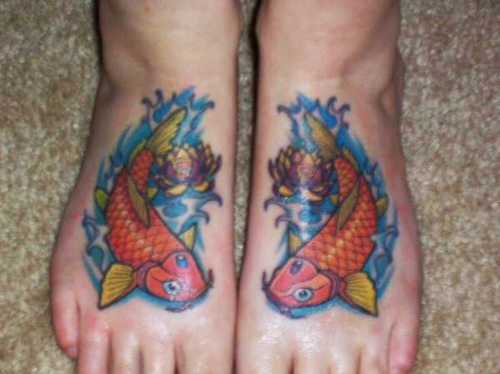 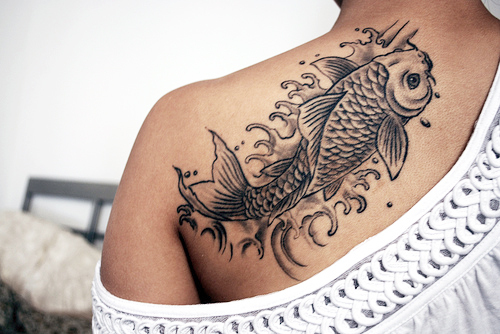 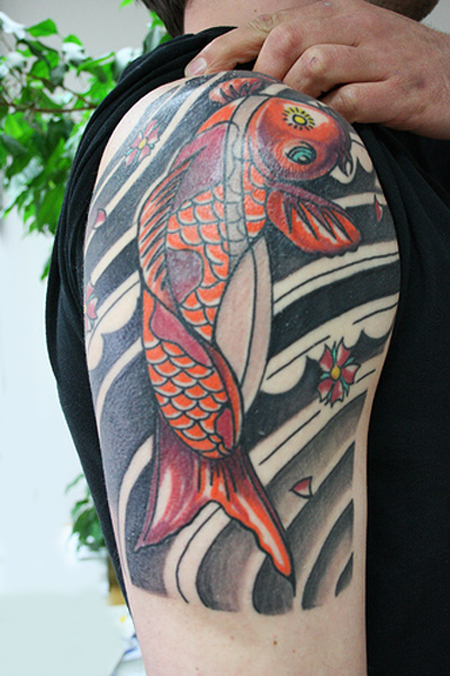 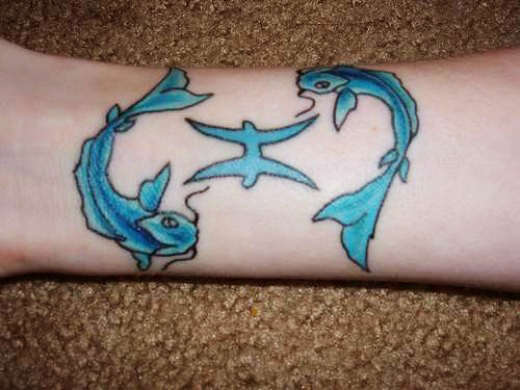 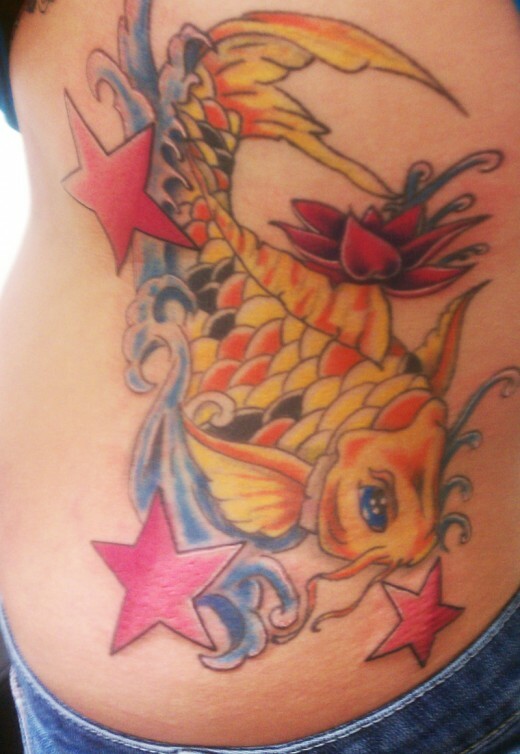 We have posted charming fish tattoo designs for your new tattoo fashion style. 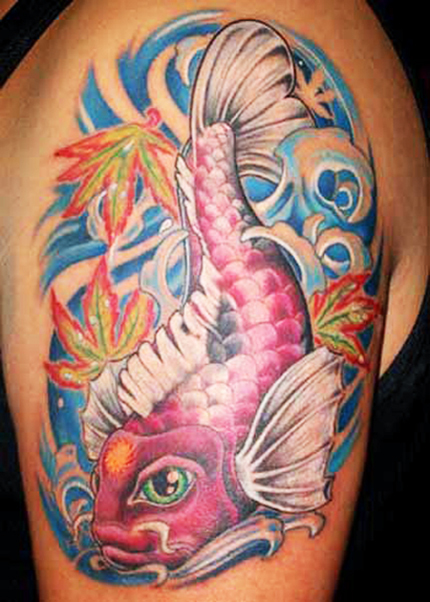 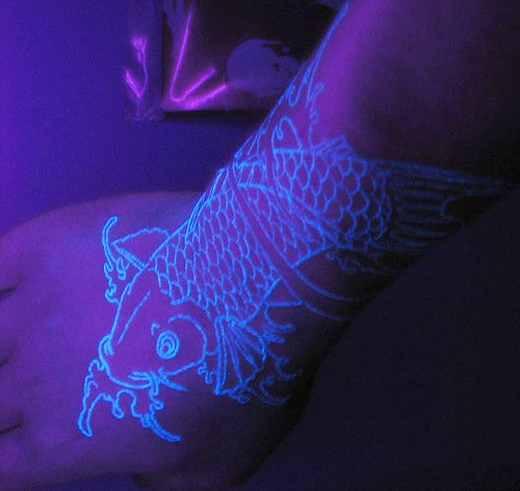 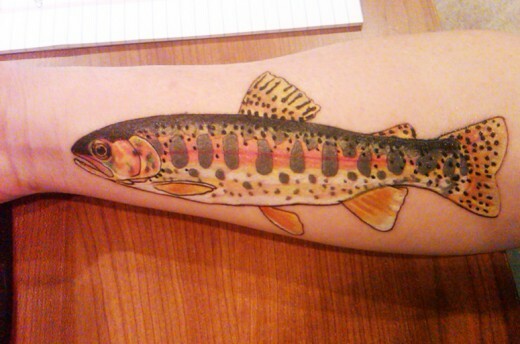 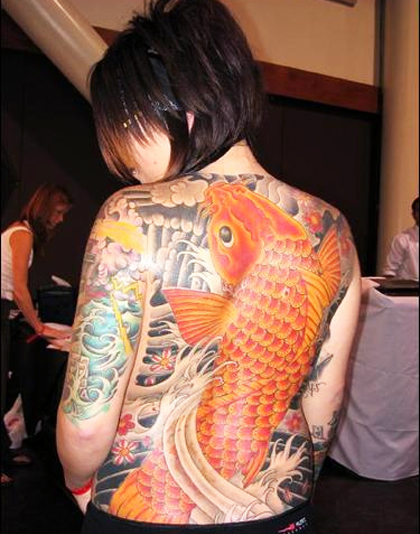 We hope you will like and draw colorful fish tattoo design on your body. 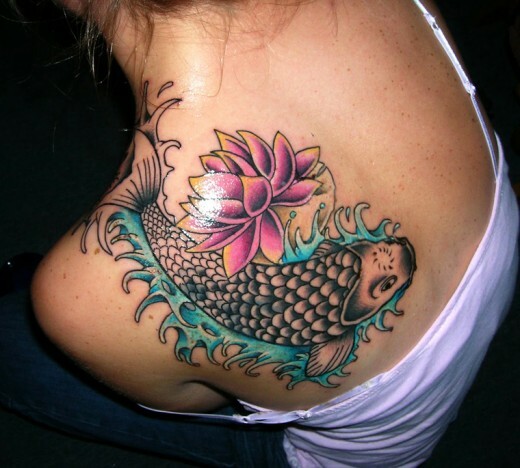 Please send us your ideas and latest information about for tattoos trend.